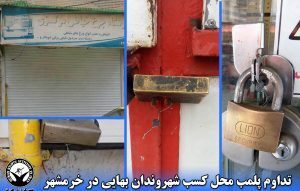 HRANA News Agency – On Thursday, in Abadan, a Baha’i-owned business was shut down and sealed by security forces, and the proprietors’ business license revoked. No specific information is available regarding the inquest or reason for the shutdown of this business. 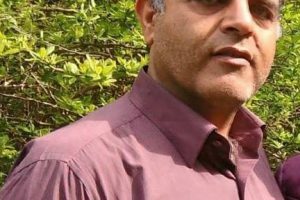 However, it is a routine practice, escalating in recent years, for law enforcement and security forces to obstruct the economic activities of Baha’is as part the ongoing persecution of the adherents of this religious minority. Baha’is, in accordance with their religious beliefs, suspend work and close their places of business in observance of Baha’i Holy Days. 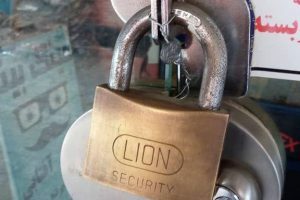 Law enforcement and security forces have made it a practice to routinely seal the businesses of owners who close shop on Baha’i Holy Days. This forced closure of Baha’i-owned businesses is in direct violation of Item B of Article 28 of Commercial Union Law, which states that business owners may close their place of business for up to 15 days a year without informing the union.